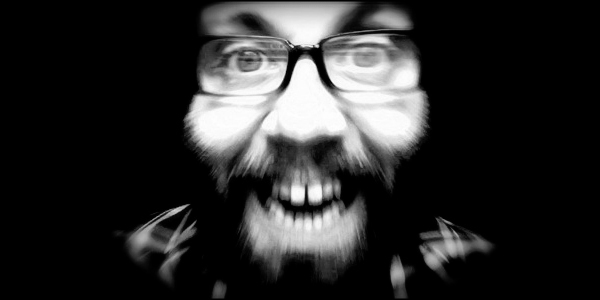 Review: Daniel Kitson: It’s Always Right Now, Until It’s Later – Traverse Theatre, Edinburgh. There’s always one show at Edinburgh that blows you away with its linguistic and visual radiance, moments of brilliance that remain in your mind long after you’ve returned home from The Fringe. Daniel Kitson’s sold out show ‘It’s Always Right Now, Until It’s Later’ is just that. The treasured image lodged in my mind is of Kitson sat in a chair in the middle of the stage, surrounded by a collection of lights hung from the ceiling of the stunning Traverse Theatre – each representing a ‘torrent of moments’ in the lives of Caroline Carpenter and William Rivington. But ‘this is not a love story between these two people’, Kitson warns. It is a show full to the brim with wonder, melancholy, tragedy, births and deaths, and the moments in between that are the essence of life itself. This is not a love story between two people, Kitson is correct. It’s his own love affair with existence, of the moments that are miniscule within the context of life but still entirely important, like whimsical chats at a bus stop, falling off a bike for the first time or making a fool of yourself on a date. Linguistically, the Perrier Award winner is the best performer I’ve seen. Maybe he’s the best I’ll ever see. He makes every word, every syllable and every sound matter; Kitson’s use of language is simply jaw-dropping. ‘It’s Always Right Now, Until It’s Later’ is a wonderfully written monologue that says just as much about Kitson himself as it does about Caroline and William. And, as Kitson left the stage at 11.30am following his ninety minute tale of poignant, melancholic realism, his goal to ‘put something amazing where you wouldn’t expect to find it. To take the first moments of the morning and fill them with something silly and sad and wonderful’ was fulfilled. ‘It’s Always Right Now, Until It’s Later’ is the celebration of life, a story of two people – just like you and me – who are flawed and in every way ordinary. But Daniel Kitson’s tale is so vivid and touching that, as the audience climb the stairs to leave the Traverse Theatre, they feel overwhelmed with the magisterial beauty of Kitson’s words. They know everything about Caroline and William, from birth to death, but most importantly, the audience know their own mortality. Date of live review: Friday 13th August.